8 Inch Shutter Slide Bolt. 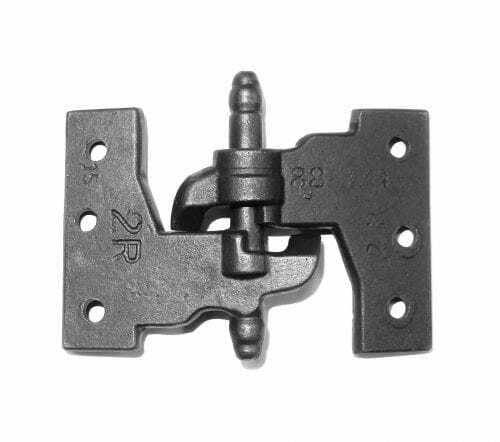 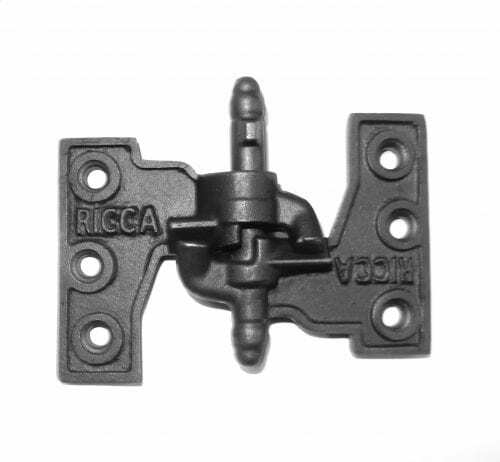 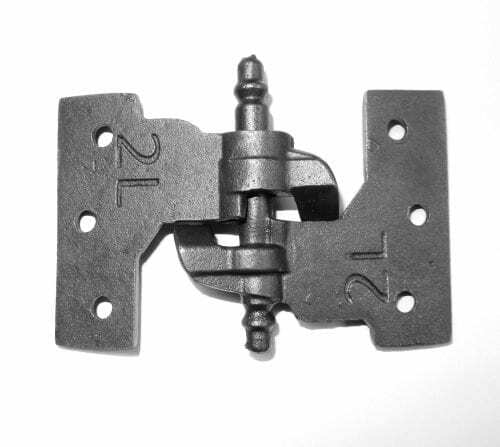 These slide shutter bolts are meant to mount to a pair of shutters in the space between the shutter and the window and function to fasten the shutters during a storm. 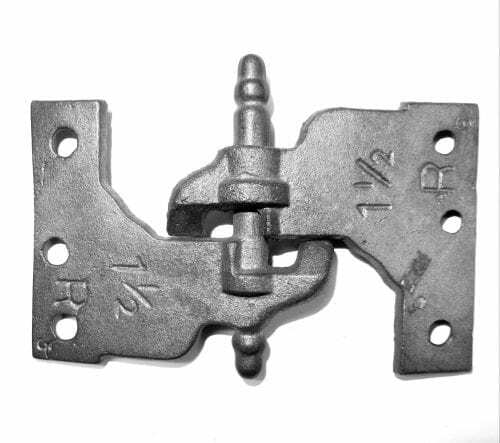 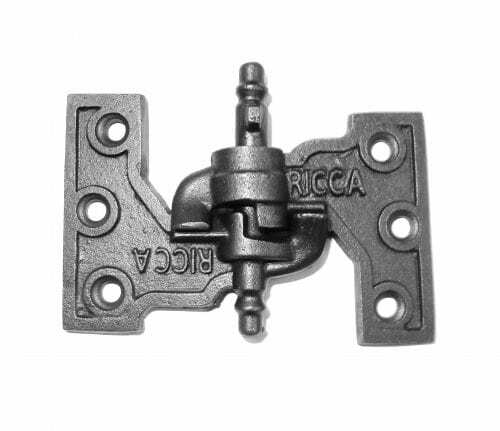 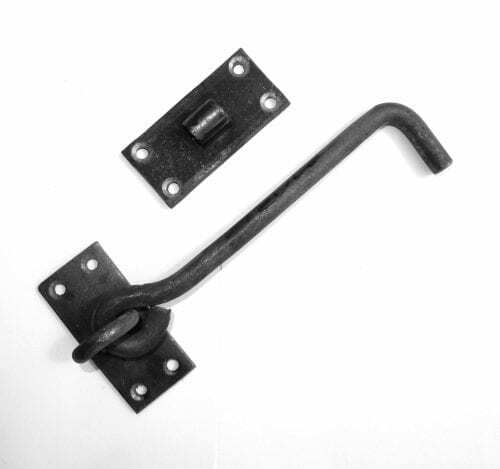 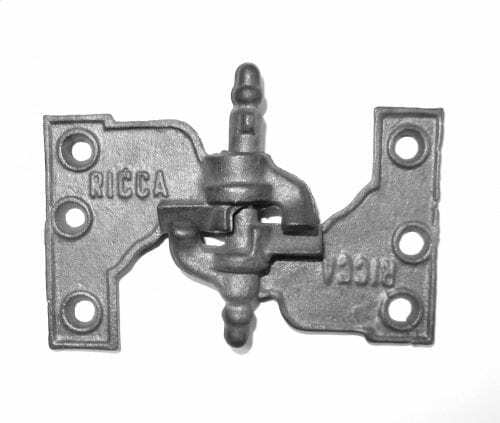 The back plate, keeper, and straps are made of steel and the bolt itself is made of cast iron. 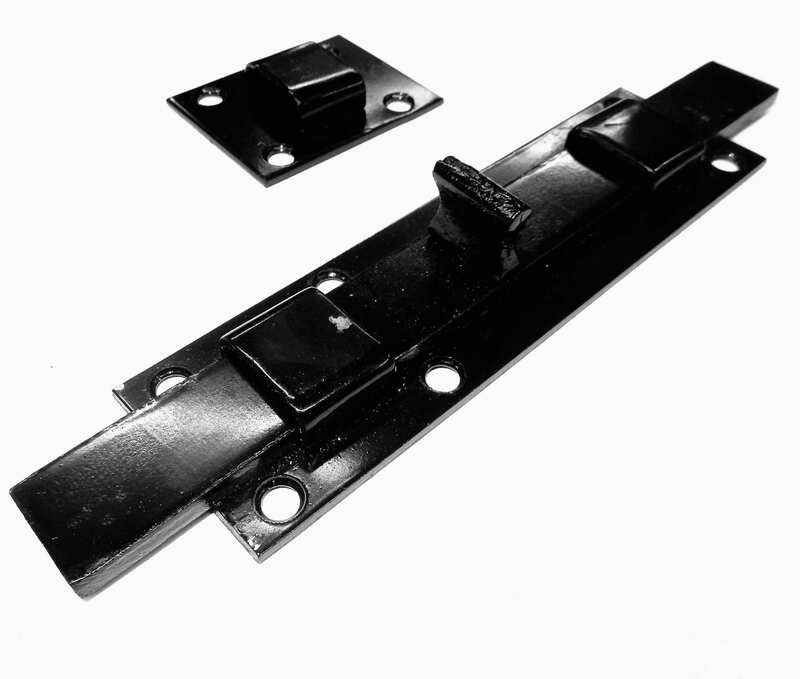 They are powder coated in a glossy black finish. 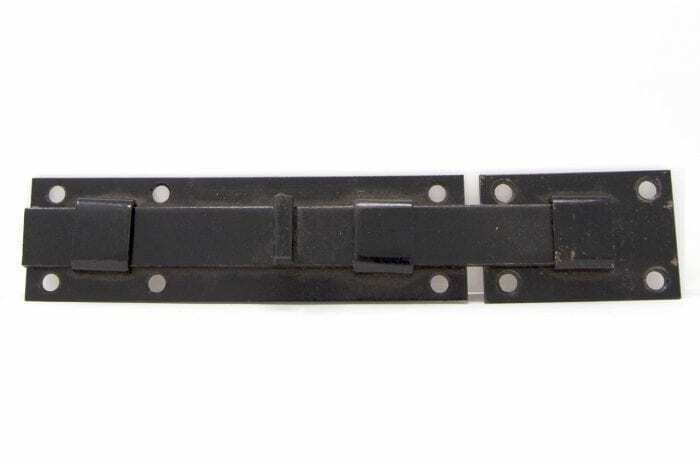 8 Inch Shutter Slide Bolt does not come with screws.